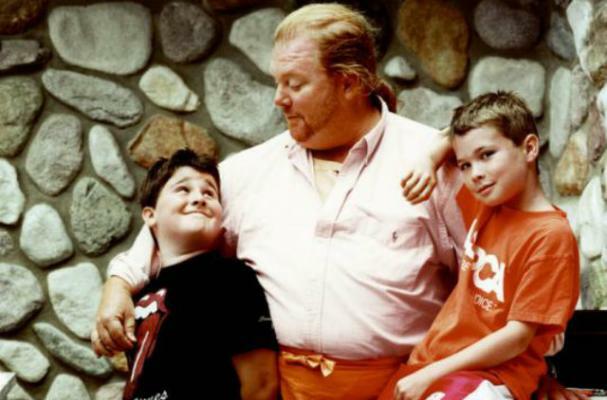 Mario Batali is passing on his torch of being his family's famed chef to his two sons, Benno and Leo. The two preteens are about to publish their very own cookbook. Mario revealed to Grub Street that they originally created the cookbook for his 50th birthday. "They gave it to me as a 50th birthday present two years ago, and we've been dancing around it for a while, wondering waht to do." The Batalis have since signed a deal with Harper Collins for The Batali Brothers Cookbook. It will first be released as an e-book in time for Christmas. "The boys cook, they love it, they are truly great kids... for all the bullsh*t around me, being their father is the most important thing in my life," Mario said.